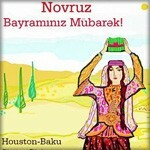 Please join Houston-Baku Sister City Association for the annual Novruz Bayram Celebration and share an unforgettable evening with old and new friends while enjoying a traditional Azeri dinner and live music performance by the singer NOVRUZ MAMMADOV from New York . Tuesday, March 16, 7-9 pm; this will be last day for collecting money. The ticket price after March, 16 will be $70 and we cannot guarantee there will be any seats left. Registering your attendance at Facebook does not constitute payment or reservation. 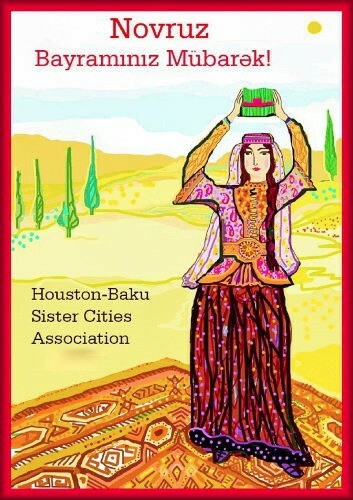 Houston-Baku Sister City Association (HBSCA) is a nonprofit citizen diplomacy network that aspires to connect Houston and Baku through creating and strengthening partnerships in business, culture and education.